Thanks for your interest in KoHi Labs. 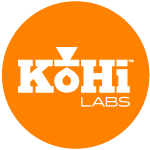 If you would like information about becoming a KoHi Labs retailer or distributor, please compete the form below. We will review your application and get back to you promptly.